Welcome to API's Online Marketplace. Sit back, relax and enjoy shopping with our wonderful featured stores that offer products and services that support you in your AP lifestyle. For advertising information, please email API's Advertising Manager, Jennifer Yarbrough or visit API's Advertising page. Baby Matters, Revised 3rd Ed. : What Your Doctor May Not Tell You About Caring for Your Baby brings the solid science supporting the immense values of attachment parenting practices and covers natural health advice on colic, reflux, food allergies and SIDS. Extensively documented, in warm, reader–friendly terms. 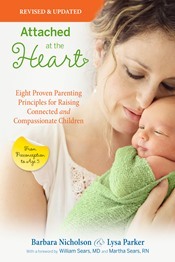 "A must read for new and expecting families and an important text for educators." For more than four decades, parents have met with Dr. Haiman to resolve child and adolescent rearing problems. His work in this area has received national recognition and been featured in local newspaper articles. He has provided individual psychotherapy to adults and adolescents over the past 25 years. Dr. Haiman has served as a child custody expert witness to courts and provided child custody advice for parents involved in divorce. In child custody divorce cases, he provides competent psychosocial developmental knowledge that can be applied to the individual child and family situation. In particular, he specializes in promoting child custody attachment parenting and aiding with child custody visitation. He continues to do this work, and can be contacted about it through this website. 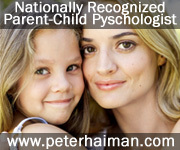 To read testimonials from parents about Dr. Haiman's work over the years, see his website. Cute and convenient baby clothes for elimination communication, potty learning, and easy diaper changes. Everything at EC Wear is sweatshop-free, fair-trade, and eco-friendly.